Turns out that eyeball-searing fluorescent yellow isn't the last word in high-visibility apparel. As Bikeyface demonstrates, a minimal covering of leopard print can also command attention. Which reminded me of the magnificent Sawako Furuno helmet that Ladyfleur owns. It's even more gorgeous in person. It's a concrete jungle out there. So be safe and choose leopard print. 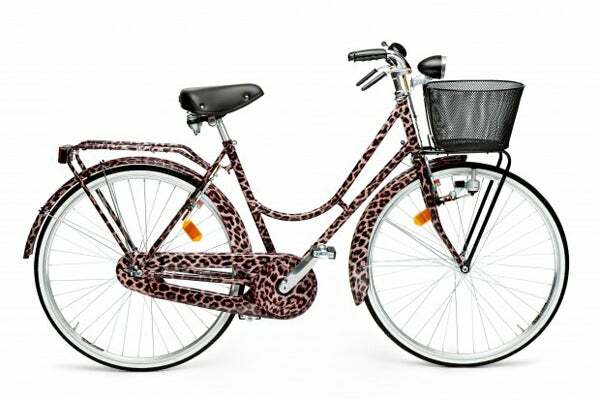 Yes, the Dolce & Gabbana Limited Edition Leopard Print Bicycle. It was only available in a handful of stores in Italy last summer. However you can pick-up a cheap knock-off less expensive version here. 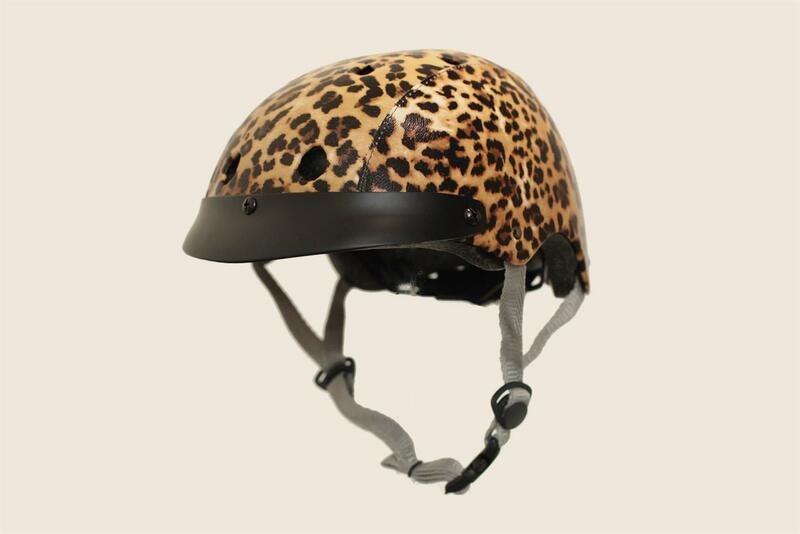 Update: I found a nicer leopard print trimmed bike from Nirve on Amazon. Check it out.